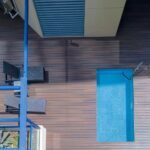 is composite decking is any good? You are here: Home / Blog / Is Composite Decking Any Good ? When you build a deck, you have to make sure that you choose the right materials. Pick any option that’s lacking in quality or durability, and you risk not just constant repair and maintenance costs in the future, but also danger of injuries for anyone that spends time on it. Is Composite Decking any good? Yes! – if you choose the right one. When you build a deck, you have to make sure that you choose the right materials. Pick any option that’s lacking in quality or durability, and you risk not just constant repair and maintenance costs in the future, but also danger of injuries for anyone that spends time on it. That’s why it’s only natural to ask the question, is composite decking is any good? Over the years, the material has developed a reputation that’s not always positive. And it’s true: earlier generations of composite decking have not always held up to the high standards that home owners should expect as they build their exterior living space. But materials evolve, and this one is no different. If you’re wondering whether capped composite decking is any good, it makes sense to understand where the material started – and where it’s going from there. We’ll even leave you with some tips to make sure that the composite you choose actually holds up to high standards and weather alike. When composite decking first arrived on the scene as an option in the 1990s, it was sold as a more durable material than traditional hardwood. Unfortunately, that wasn’t always the case. In fact, the first generation of composite decking faced a number of problems that builders still tend to point to when considering materials today. Mould and mildew tends to show up quickly on earlier generations of this material. It grows both on the surface and within the cavities of the individual board, making it difficult to treat or eliminate. Maintenance grows drastically as a result. Colours that can fade quickly with prolonged sun exposure. No matter how natural or stylish the colour you picked in the store may look, it doesn’t matter if over time it becomes faded and less realistic. Older composite warps and shrinks as much as, and sometimes even more significantly than traditional hardwood. That, in the worst case scenario, can actually compromise the integrity of the structure. Of course, and as mentioned, many of these problems are owed to the first generation of composite, which have formed a firm impression in the minds of even experienced builders. And to some degree, that caution is justified: newer versions of capped composite decking are expensive to manufacture, which is why you’ll still find some low-quality materials on the market that can cheapen and even compromise your deck. At the same time, that doesn’t have to be the case. Capped composite decking, in fact, has solved the issues outlined above to become a preferred choice among homeowners and builders who know its nuances and benefits. Capped composite deck boards are composed of a traditional composite wood / plastic core with a durable polymer protective shell. The advantage of capped composite decking is the PVC coating prevents mold and mildew from feeding on the organic fiber found in composite material. which is bonded to the composite core during the co-extrusion process. This capping contains UV inhibitors, anti-oxidants and beautiful colours added at just the right time. Of course, even within the realm of capped composite, you can find a wide range of qualities. For instance, some boards are capped on all sides, increasing both their endurance and their versatility. The cover is non-porous, ensuring that many of the above problems like mould and mildew will never occur. The short answer to the introductory question of the answer is yes: you can find composite decking that is not only good, but actually your best option. The question, then, turns to the next most important thing: how can you find the type of material that actually holds its promise? What does the warranty look like? Overall length obviously matters. But you should also look for what’s included. If you cannot find coverage for problems like staining and fading or cracking and warping, the composite may not be as strong as the manufacturer claims. What is the decking board made from? The ratio of wood fibre vs. plastic in WPCs is crucial, as is the type of timber and plastic used. NexGEN decking boards, for instance, are crafted from 50% recovered hardwood fibre and 50% UV-stabilised high-density polyethylene. What is the thermal expansion coefficient? This tells you how much the boards will move, especially during hot and sunny Australian summers. Look for a coefficient that’s lower than alternative materials. What colour palettes do you offer? Stay with Australian colour palettes to make sure the boards do and will continue to look like a natural fit in the overall landscape. As a bonus, look for double-sided boards with no visible repeats or easy-to-discern patterns. Of course, the credibility of the manufacturer also matters. If you cannot find information about the quality of materials they produce, look elsewhere. 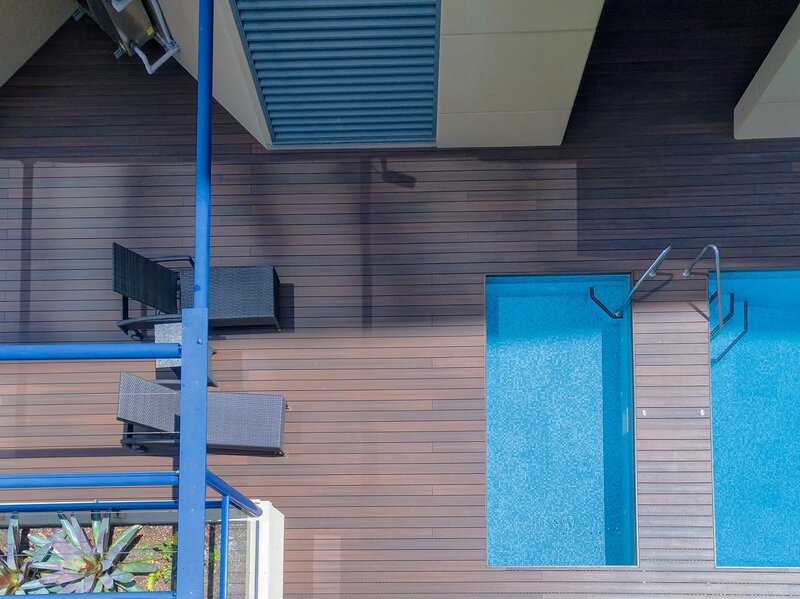 Credibility is a key component in making sure that any composite decking you choose actually holds its promise and can enhance your exterior living space for years to come. Find the right capped composite, and it’s not just any good – it’s the best option you can find. However, you do have to make sure that you can actually get to that point. NexGEN Decking is proud of the capped composite decking and cladding that we sell, designed to eliminate and even reverse some of the traditional weak points of the material that you might still hear about today. Contact us today to learn about your options.